With its miles of waterfront property, beautiful nature preserves, and bustling business community, Chesapeake is a popular destination. Whether you’re moving from NJ to Chesapeake for work, family, or pleasure, the process can seem daunting—but you don’t have to do it alone! Since 1977, Simonik Moving & Storage has made challenging life transitions easier for countless customers with our wide variety of professional moving services. As a BBB-accredited business, we’re dedicated to offering the highest-quality moves backed by world-class customer service. 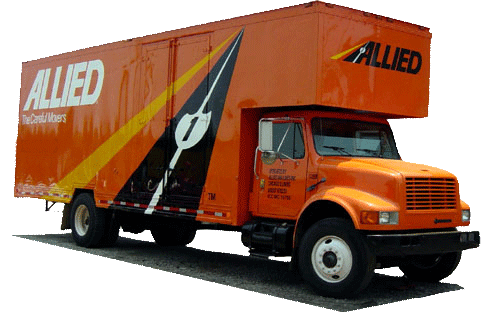 Whether you’re moving yourself locally or your entire family across the country, our agent status with Allied Van Lines gives us access to a nationwide network of moving and storage professionals to successfully take you anywhere in the country. To make sure your move goes off without a hitch, it’s important to choose a moving company that has the experience, equipment, and professionalism to handle all your relocation needs. At Simonik Moving & Storage, we demonstrate our commitment to you by starting every move with a free in-home estimate of moving costs. We’ll then pair you with a skilled Relocation Coordinator who will be there to answer any of your questions and navigate you through the process of moving to Chesapeake from New Jersey. From the free in-home cost estimate to the final delivery, Simonik professionals will work closely with you for a stress-free, on-time move from New Jersey to Chesapeake. We’ll carefully pack your household items in containers specially designed for long-distance shipping. If you need some extra time to clean your home or just relax before receiving your belongings, we can easily store these containers in our highly secure warehouse facility. Flexible short- and long-term options let you store anything you’d like for as long as you need to. With many decades of experience as a local leader in moving and storage, we’re proud to service households throughout North and Central Jersey including Hunterdon, Mercer, Middlesex, Monmouth, Morris, and Somerset counties. Our exceptional customer service has not only given us the loyalty of our customers—it’s also earned us the “Mover of the Year” award from the New Jersey Warehousemen & Movers Association. And as a ProMover member of the American Moving and Storage Association, we stay on top of industry trends and requirements for long-distance relocations like your move from NJ to Chesapeake. For a completely stress-free NJ to Chesapeake moving experience, there’s simply no better choice than Simonik Moving & Storage. Call us today to learn more about our premier moving services, or use our online quote form to request your free, no-obligation moving estimate now!